Federal Bank (one of India's leading private sector bank) invites Online applications for recruitment of Specialist Officer (Legal & IT). The Online Registration start from 15th September 2015 and close on 30th September 2015. (1) Should have completed Graduation / Post Graduation in Law with minimum 50% marks from a recognized university/ Institution. (2) Graduation in Law means those who have passed 10+2+5 year course in law or Degree in any subject + 3 year course in Law. (3) Post Graduation in Law means those who have passed 10+2+5+2 year course in Law or Degree in any subject + (3+2) year course in Law. (4) Candidates should be enrolled as an Advocate with the Bar council and should have minimum 3 years active practice as Advocate in Civil/ Criminal court or minimum 1 year experience as legal officer in any Scheduled Commercial Bank as on 01.07.2015 for being eligible to apply for the post of Legal Officer in Scale-I. (5) Candidates should be enrolled as an Advocate with the Bar council and should have minimum 5 years active practice as Advocate in Civil/ Criminal court or minimum 3 years experience as legal officer in any Scheduled Commercial Bank as on 01.07.2015 for being eligible to apply for the post of Legal Officer in Scale-II. (6) Candidates should be domiciled in any of the following states - Maharashtra, New Delhi, Tamil Nadu, Kolkata & Kerala. (1) Should have completed MCA / BE / B.Tech /M.Tech / M.Sc in Computer Science/ Information Technology/ Electronics & Communication with minimum 60% marks from a recognized university/ Institution. (2) Candidates should have acquired the educational qualification through regular campus based study and not through private study/ correspondence/ distance learning program. The posting will be in Head Office / Aluva. (3) Candidates should have minimum 2 years experience in Software development as on 01.07.2015. (4) Candidates should have minimum 2 years experience in Network Administration as on 01.07.2015. How To Apply: Eligible candidates are advised to Apply Online through Federal Bank Website between 15/09/2015 and 30/09/2015 (both days inclusive). 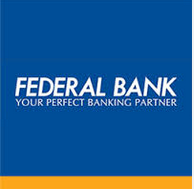 For any clarifications candidates may contact at careers@federalbank.co.in.